Everyone knows about Pavlov’s dog and Schrodinger’s cat. But what about Pavlov’s cat? This illustration suggests that cats are better at conditioning humans than vice versa. Like it? You can get it on a t-shirt at SnorgTees. 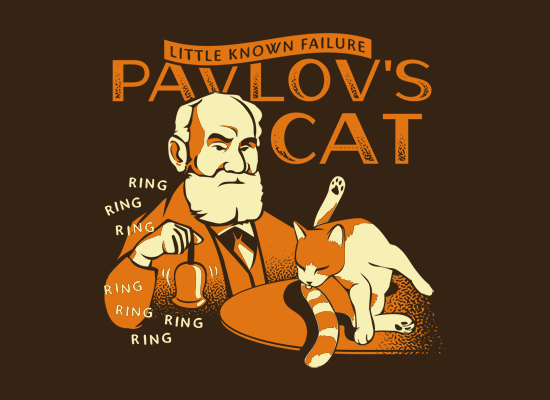 This entry was posted in Science Caturday and tagged Classical conditioning, Pavlov's Cat, science cat, science lolcat. Bookmark the permalink.